Anyone who is busy ever. Now this will be fun… These recipes are in this category partly because you can make them with an assortment of ingredients. 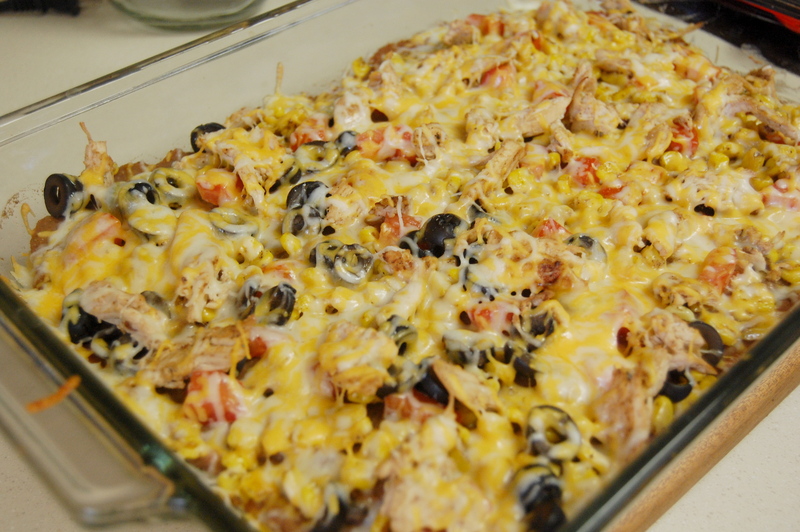 Mexican pizza is really quick to whip up if you have some of these ingredients on hand! You don’t need everything I’m listing – this is mostly to give you ideas. You can also add green chiles, bell peppers, or whatever you want. This is ridiculously easy, and it tastes delicious! 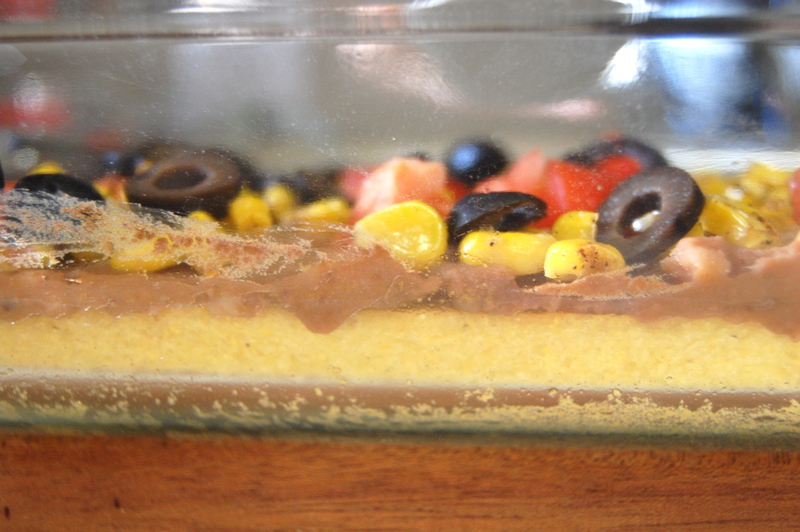 Prepare 1 batch of cornbread and bake it spread out in the bottom of a large glass casserole dish. Leave the oven on when you take it out. Heat a small sautée pan while the cornbread is in the oven, and sautée the corn in about 1/2 tsp olive oil until some of the edges are just barely turning brown. I used chipotle-flavored olive oil, and I sprinkled a lot of black pepper on the corn as I cooked it. Set it aside. 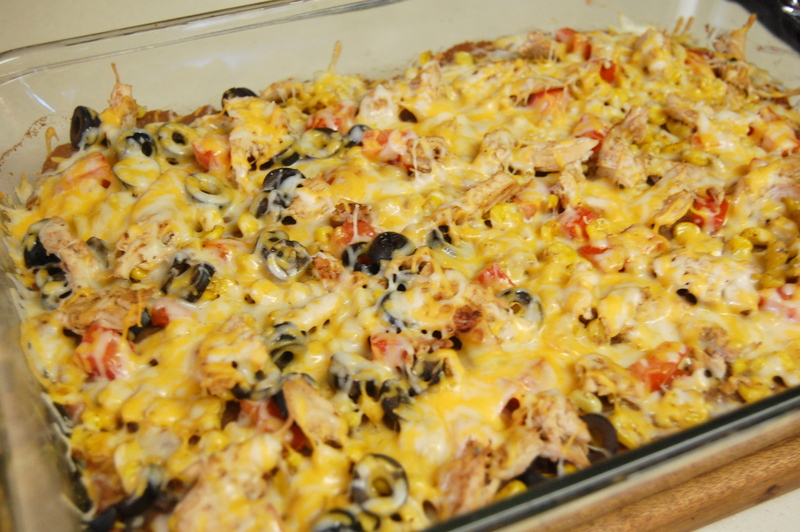 You can just use plain corn, but this extra step gives it an amazing flavor. 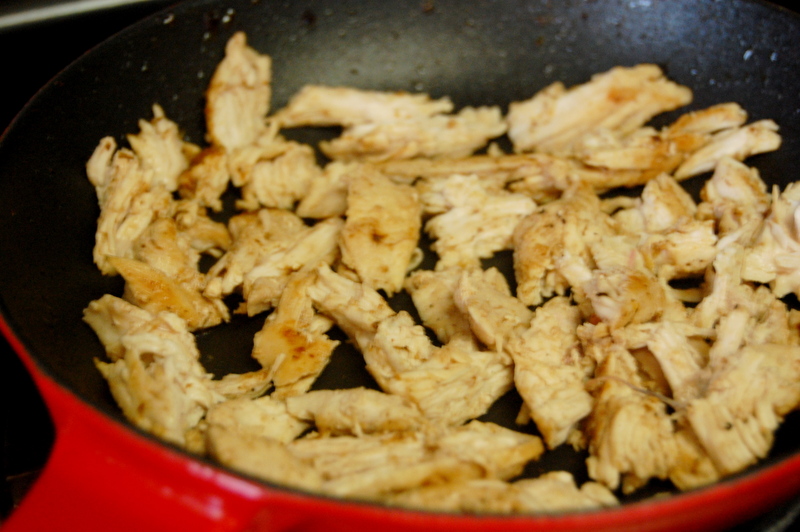 I sautéed a chicken breast (seasoned with Cholula chili-lime seasoning) in a few drops more of the same chipotle olive oil, then I took it out and shredded it with a fork. 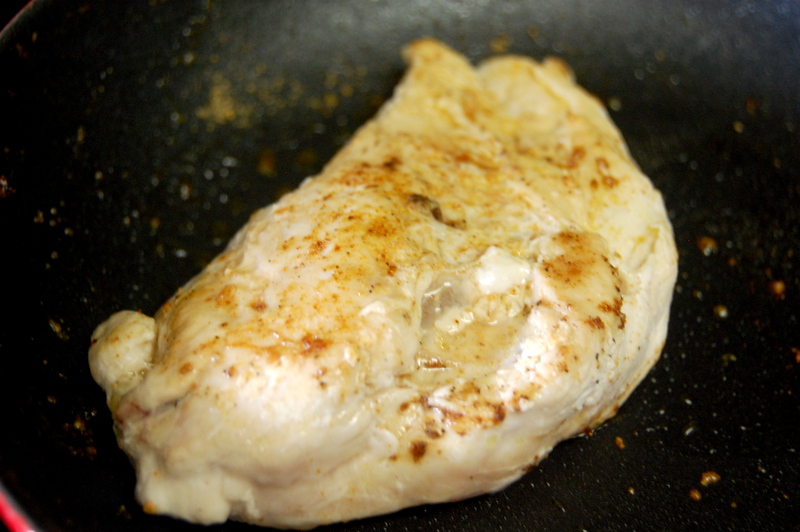 I put it back in the sautée pan for another minute or so, so the shreds from the inside of the chicken breast can get some seasoning too. 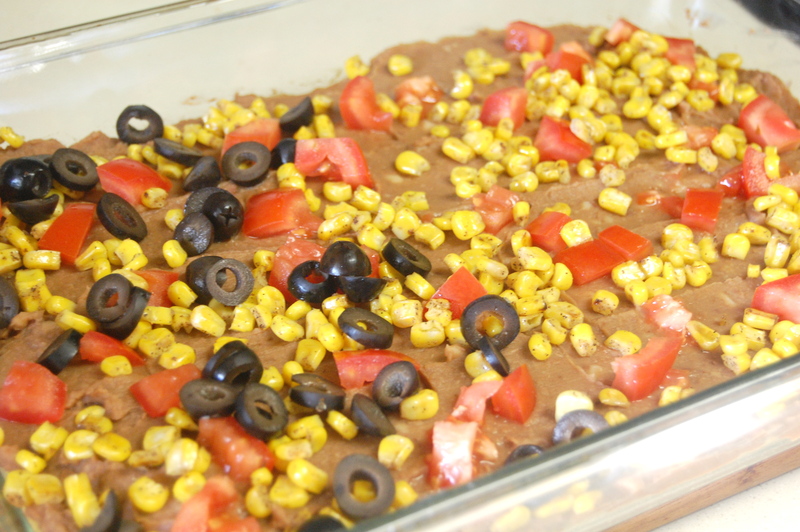 Spread the refried beans evenly across the cornbread “crust.” Sprinkle the tomato, olives, shredded chicken, corn and whatever else on top. Sprinkle cheese across the top to your desired thickness (or at least to whatever thickness you can get away with..). Bake it for about 10 minutes, or just until the cheese is fully melted. I grew up eating it, so it’s a comfort food for me too. This is seriously delicious. What would you put on it? I’d love to hear your variations! I got to taste this yummy deliciousness last night and it was amazing! Will definitely be using this recipe Hannah!